The Brothers Grimm, Jacob and Wilhelm, were among the first to collect and record folklore stories in the early 1800's. 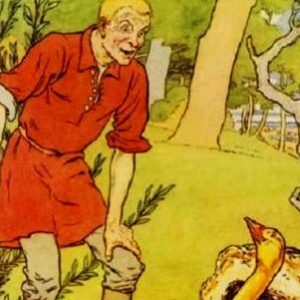 As the best known collectors of these folk stories, the Brothers Grimm published them into their famous collection of folk tales and fairy tales, Children's and Household Tales. The most popular tales are found below: Cinderella, Rapunzel, Rumpelstiltskin and the Golden Goose. Explore our collection of Children's Stories ~ Folktales from around the world. Folktales (or folk tales) are stories that have been shared from generation to generation in the oral tradition. Folktales consist of Fairy Tales (or fairytales), Animal tales, Legends, Myths and Riddle Stories which you will find here! Our short moral stories for children are Kid-tested, Multicultural and feature positive moral messages to leave a lasting impression on the children in your lives! You will find funny, heart-warming and interesting stories all with positive morals.